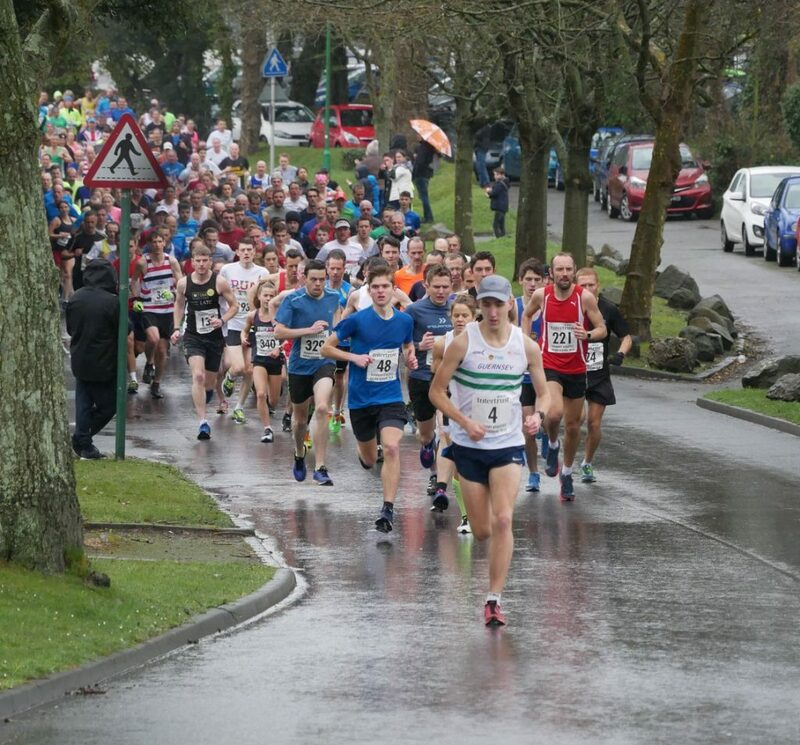 Runners shrugged off the rain to turn up in record numbers for the opening 5km event of the Intertrust Guernsey Easter Festival. (Image Phil Nicolle). The damp but near windless conditions produced a spate of fast times and Ryan Burling produced yet another course record – his fourth of 2018 – to lead home the 240 strong field in 15 minutes 15 seconds. Not far behind and in 6th place overall Elsey Davis of Bristol and West Ac followed up her win in last weekend’s Cardiff Half Marathon with a women’s victory and new course record of 16:29. Cornwall resident Davis quipped “I’m used to the rain”. Having quickly recovered from their Home Countries XC international last week the minor placings in the men’s race were contested by several of the Alan Rowe coached group of middle distance runners with Richard Bartram holding off fellow Bath University student Dan Galpin in the sprint for second. The pair clocked 16:12 and 16:13. Coventry’s James Griggs was a further two seconds behind in 4th and Alex Rowe a further four seconds back in 5th. 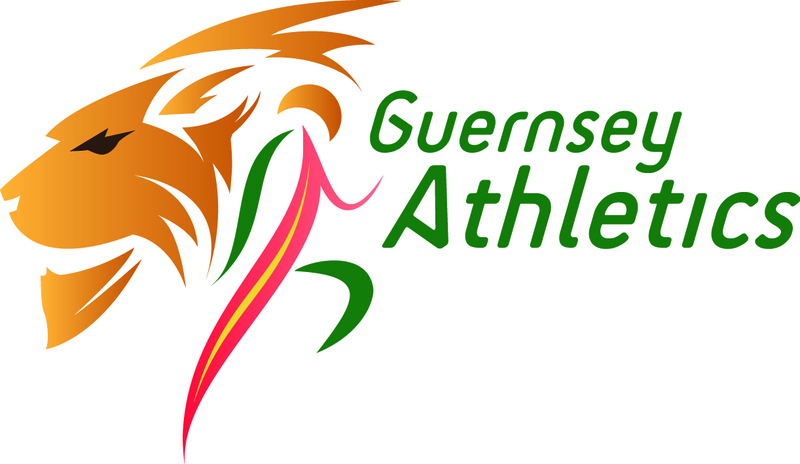 Previous course record holder Louise Perrio was someway off her best of last year but finished 16th and second woman whilst Jenny James made a good return from injury to shave a few seconds off her previous best and place third woman in 18:07. Prior to the main 5k event 60 youths and children took part in the Intertrust colts races held within the grounds of Footes Lane stadium.